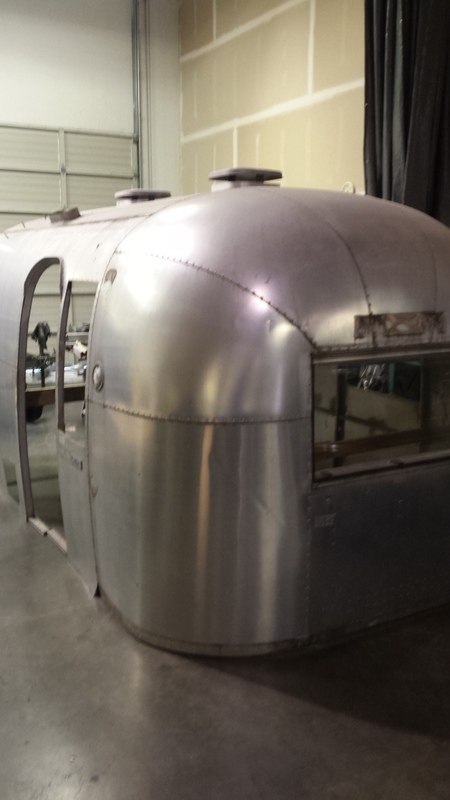 SMALL STAGE AIRSTREAM - Silver bullet trailer inc. 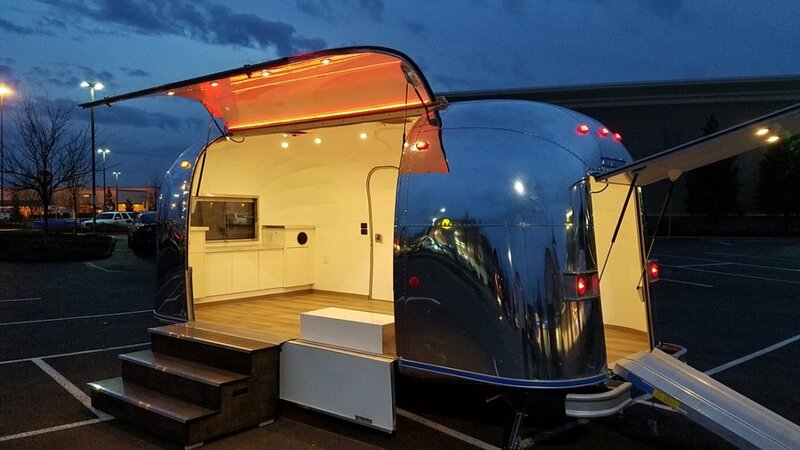 This commercial Airstream trailer based on 1964 model. Body length is 17', AOL is 20'6". New heavy duty frame, axle, and all components. Full side 102" wide two-sectional street side gull-wing style openings. There is an option to have it fully or partially open. 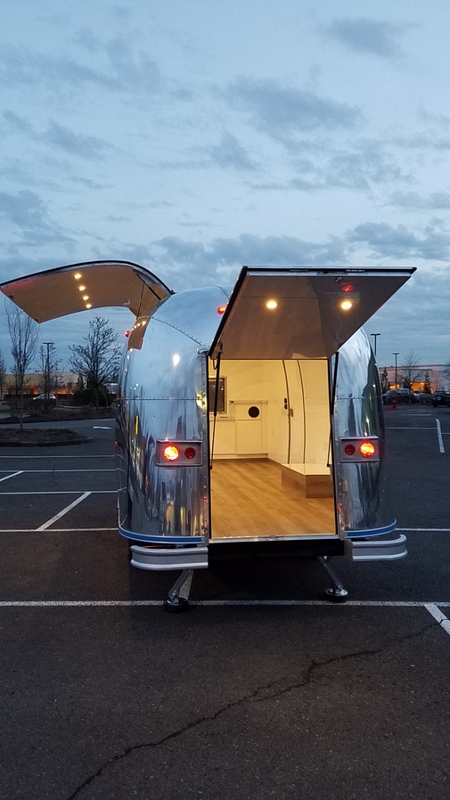 Rear 44"x36"door opening with ramp option. 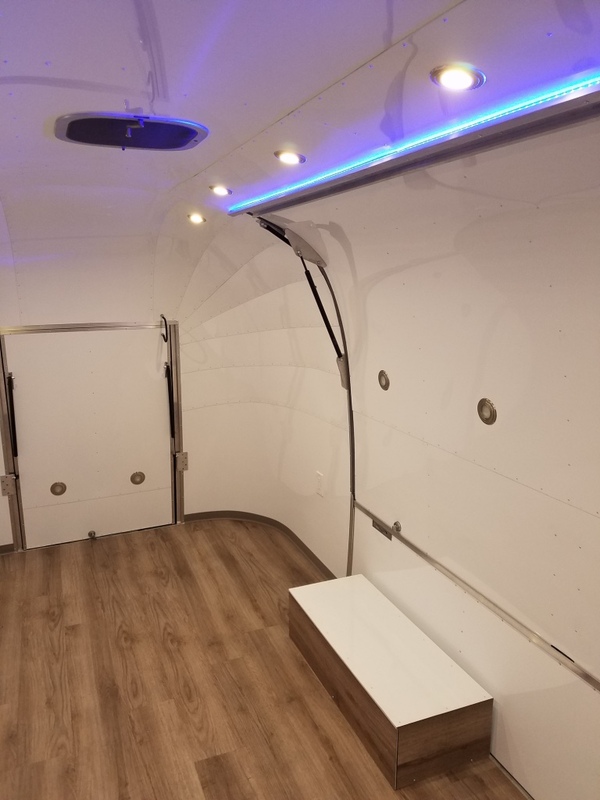 Trailer is equipped with 7k axle, new white aluminum interior skin, commercial vinyl floor covering, 30AMP electrical service, all LED lighting. 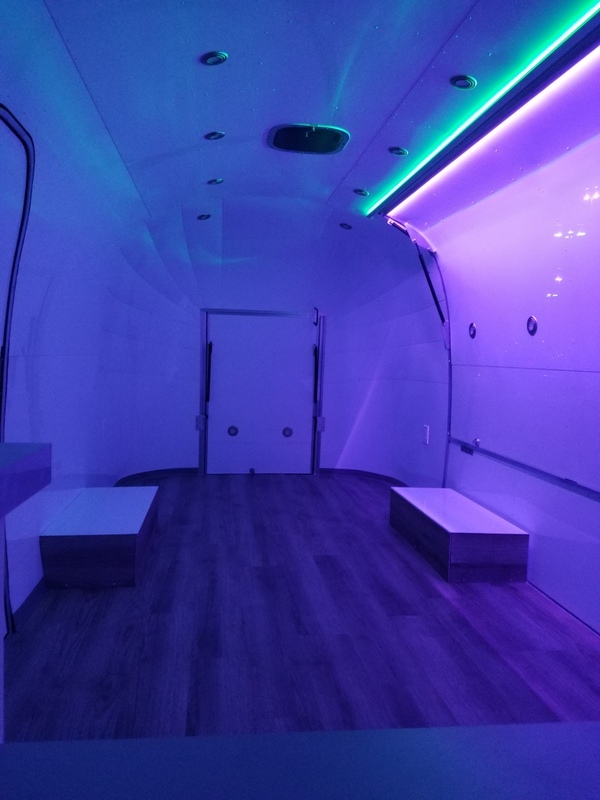 Independent rope lighting strips on big door and interior skin. 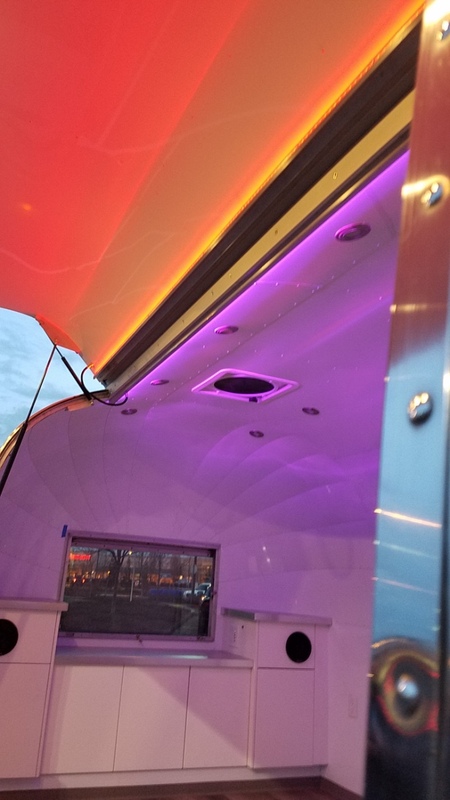 Built in sound system. Offered for sale. Please inquire.